This release adds a ‘New Relationship’ icon (+→) to the fragment toolbar. Dragging this icon from one fragment and dropping it onto another creates a new relationship between the two fragments. There is a New Relationship icon (+→) on the fragment toolbar. and drop it onto another fragment. 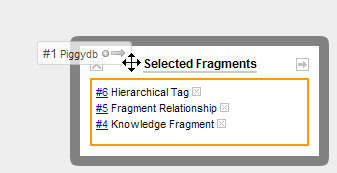 Dropping the icon onto the “Selected Fragments” box creates a new relationship with many fragments in one operation.